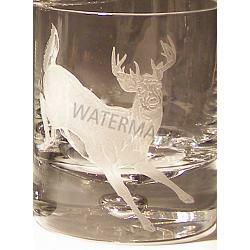 Whitetail Deer hand etched on a crystal double old fashioned glass. The elegance this crystal glass accentuates is hard to describe. It is amazing. 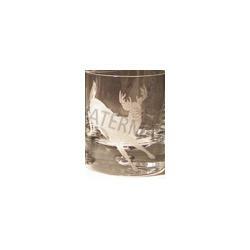 Crystal whitetail deer old fashioned glasses are a great Christmas gift for the hunter on your list. A perfect wedding gift for your wildlife enthusiast friends as well. Hand crafted in the USA. 14 oz. Approx. 4 in. tall. Crystal Etched Whitetail Pilsner-16 oz.